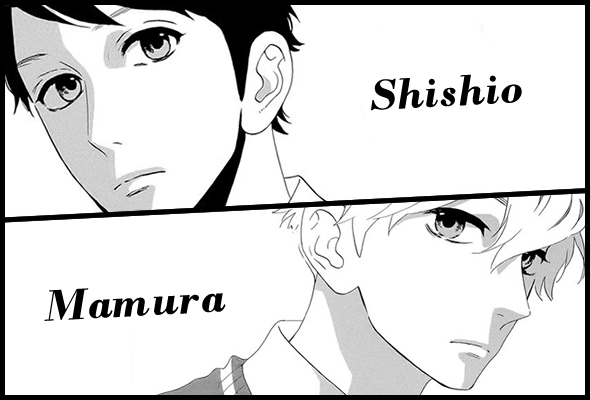 Home » Hirunaka no Ryuusei » Mamura or Shishio? I have a problem, because when I started to read this series I prefered Shishio, but now I like them both ^^ It’s hard to choose, which one is better. Sorry about problems with comments. For unknown reason Google block some of users comments. I’m working to fix it. For now I just need to look more often to spam folder ^^ Take care! I must confess i go crazy for teacher-student relationships so i root for Shishio sensei^^He is good-looking & suits Chun-Chun.I hope their relationship will last till the end.Mamura is a good guy though. I see that Shishio is more popular, but I think that many of you like Mamura too ^^ Anyone ? I love Mamura. He’s the best! I think he and Suzume would make a great couple. Btw. Is it just me or does it now (in the latest raws) seem like Suzume is totally gonna end up with Mamura and that she likes HIM now? Well I certainly hope it will go so! I like Mamura and Suzume pair way better. And, let me be honest, but I also have a crush on Mamura’s father. I MEAN COME ON!!! That’s what Mamura will look like when he grows up, COME ON!!!! He’s hot, and so is Mamura, and the little brother (mini-Mamura) is Adorable! It’s the first time I prefer the side characters than the main couple, and don’t get me wrong, I love Shishio and have a big crush on him, but my heart’s with Mamura all the way. OH MY he is such a perfect guy! He is really cute when he blushes all the time. He is kind, toughtful, romantic, and DAMN that face of his is just too handsome! Even his father and brother look exactly the same! That gen! I’ll raise my hand for Mamura…I think he’s the one who suits Suzume well. He’s really awesome!!! I can’t decide who I like more. Mamura is soo ccute and he loves suzume with his whole heart and he helps her whenever it’s possible and just wants her to ne happy….